Women's Writing Circle : Author Platform - Selling Books Or Vision? Author Platform - Selling Books Or Vision? As writers and readers drown in an ocean of new books while publishing pundits promise that you, too, can be a bestselling author, how far are you willing to take your marketing? Which brings me to author platform. We're told that if we want to sell a lot of books, platform and branding are the keys to the kingdom. But what is "platform"? A hard sell? The author's artistic expression in an attempt to connect with and engage her readers online? As Jane Friedman wrote: "Platform is one of the most difficult concepts to explain, partly because everyone defines it a little differently." I’ll agree with that. 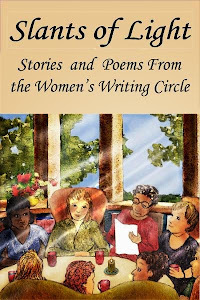 Several years ago when I created the Women’s Writing Circle blog and website, I did so with the idea that women finding their voices through writing was my “platform” as an author. The subtitle – "a place to share our stories" touched on another aspect – that writing is a collaborative process that brings us together in an isolating world, a philosophy also reflected in my books. I had, after all, found my “voice” by writing my memoirs, Again in a Heartbeat and Morning at Wellington Square which are about a woman’s search for meaning after suffering great loss. As I blogged about suppression of women’s voices; the changing dynamics of publishing; writing as a way of healing; the death of my husband; my childhood Christmas memories, it became apparent that people visiting my site ("traffic") were not purchasing my books. I average about 4,000 views a month. Comments were often lively, although not as frequent as possible, due to problems people told me they encountered trying to comment through Google. 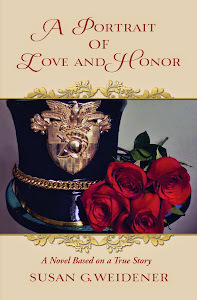 The covers of my books were prominently displayed along the sidebar of the website with links to purchase. Links to readers’ reviews and interviews with me about those books were also displayed. Susan, I suspect that you'd be more objective, and more willing to re-do, a piece of journalism than this book's promotion and website. Could that be because of the subject matter? If so, I suggest that you consider whether or not you want to make the mental adjustment necessary to sell the memoirs and make money from them, or whether you just want to let them be. Not making money is a valid choice for something that cuts this close to home. Who said anything about making a choice not to make money? Not me. But I got to thinking. Was I too "emotionally involved" in my subject matter? And, if so, what was wrong with that? Isn't that what all the "experts" on"brand" and platform (the two are often interchangeable) advise? Let your readers know who you are. Establish a relationship with them. 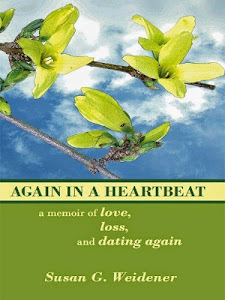 My first memoir is about being widowed at a young age. As one woman in publishing suggested, Loss, Grief and Healing as the title of my website would drive the “right” readers to my books. But, truthfully, marketing to bereaved widows felt like an ambulance chasing lawyer - distasteful and disrespectful. I also felt I wrote for a broader audience – not just those widowed - who might enjoy my memoirs of a woman testing the waters with online dating, changing careers, searching for second chances and renewal. In the end, would changing the title of this blog have made a difference in sales? While I have considered a separate blog/website just for Susan G. Weidener, "author," I don’t expect to veer from my “platform,” which is finding our voices as writers; challenging the status quo; and empowering ourselves through storytelling. This is why I write. It is why I am ever grateful to the many, many readers who have read my memoirs. This is my 294th blog post in four years. My Google+ profile has been viewed 510,000 times. This site has had 104,000 views. I regularly post on Facebook and Twitter. If platform is all about visibility, I think I achieved that. But maybe it's still not enough - to sell those bazillion ebooks, that is. As always, your comments and thoughts are welcome. Is platform a hard sell or an engagement with readers . . . or a combination of the two? What are some of your favorite author websites/blogs? NOTE: Last week, I ran a promo through a site featuring bargain ebooks. 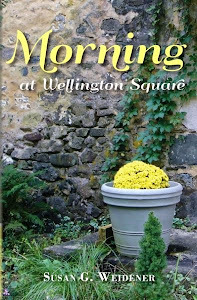 I sold 77 ebooks and my author ranking on Amazon soared (I was 6,667) and my memoir Morning at Wellington Square listed as #3,765 on the best seller list for Kindle ebooks. I guess that’s how you do it. Run a bargain promo and you, too, can call yourself a “bestselling author”!